Looking for something personal, but inexpensive to get your bridesmaids? 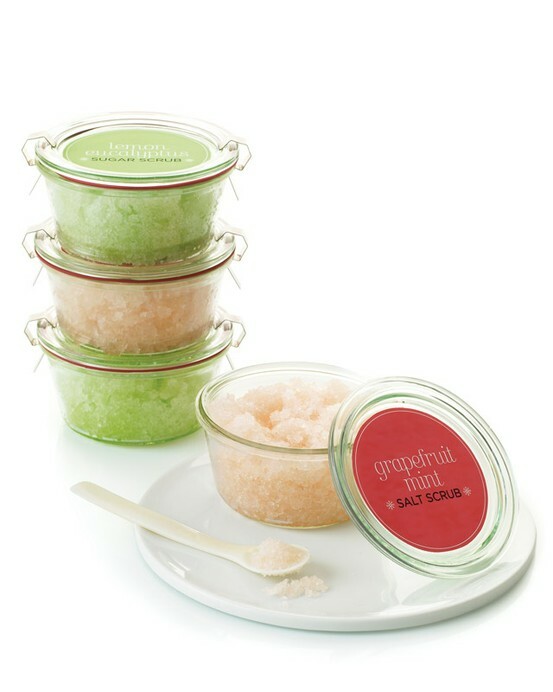 Why not create your own body scrubs! Choose your favorite scent of oil – we like lavender and eucalyptus and choose corresponding food colors such as purple and green. After you mix everything, personalize it further with cute jars and custom labels. Try naming your creation after each person for that extra touch.